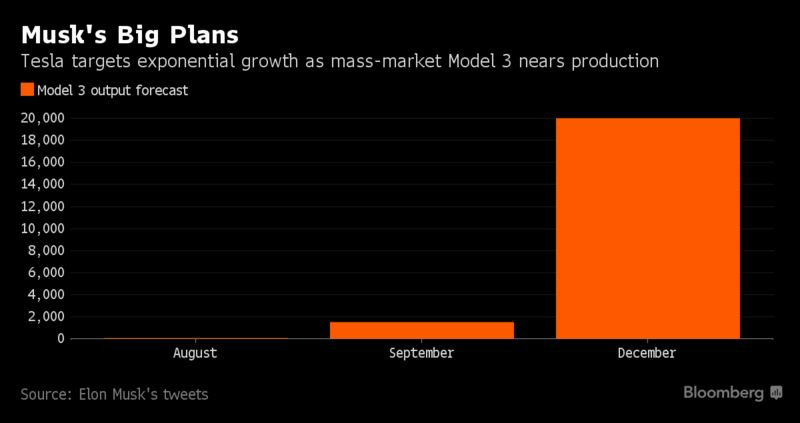 BNEF reports that Tesla Model 3 production is about to commence - Elon Musk Says Model 3 Production Will Begin Friday. The company now makes two all-electric models: the Model S sedan and Model X sport utility vehicle. The Model 3, which is slated to start at $35,000 before options or incentives, is the culmination of Tesla’s 15-year-quest to reach mainstream consumers with a smaller, more affordable electric car. The Model 3 price tag is in line with the industry’s average new-car transaction price of $34,442 in June, according to Kelley Blue Book. ... The company delivered 25,051 vehicles in the first quarter and aims to make 500,000 in 2018 and 1 million in 2020. Tesla is expected to release second-quarter sales figures Monday.